CEBU City witnessed the third highest number of index crimes, like murder and robbery, among chartered cities in the last five years, according to records the police released last Friday. The Philippine National Police (PNP), however, reported only the crime volume. Once each city’s population is factored in, it turns out that Cebu City had the highest murder rate among chartered cities from 2010 to 2015, at 93 murders for every 100,000 people. Davao City topped the PNP’s tally for murder, with 1,032 cases in those five years, but appears only fifth on the list of murders per capita, at 71 cases for every 100,000. In 2010, Davao’s population was 1,449,296, while Cebu City’s was 866,171. When asked for her comment on the official crime volume report, Supt. Aileen Recla admitted she was surprised by the figures. “This will serve as a challenge for us. I’m sure we will improve with PNP’s Oplan Lambat Sibat,” she told Sun.Star Cebu. Oplan Lambat Sibat, launched in 2015, is the PNP’s operation plan to arrest wanted persons. 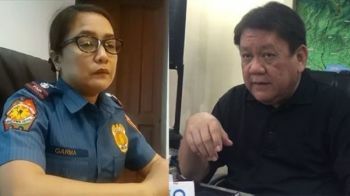 Recla serves as chief of the Investigation and Detective Management Bureau (IDMB) of the Cebu City Police Office (CCPO), which manages both the Homicide and Theft and Robbery Section. Cebu City is also among the top five cities in terms of theft cases, both in the PNP’s crime volume report and the per capita computation. Based on crime volume alone, the top five cities with theft cases from 2010 to 2015 were Quezon City (27,838), Cebu City (22,513), Manila (21,861), Cagayan de Oro (20,100) and Davao (19,671). Once population is factored in, however, the top five list changes to this: Naga City in Bicol (6,215 thefts for every 100,000), Baguio (4,268), Cagayan de Oro (3,338), Iloilo (2,771) and Cebu City (2,599). Sun.Star Cebu tried to speak with Senior Insp. Rolito Supatan of Cebu City’s Theft and Robbery Section, but was referred back to Supt. Recla. “Among gi-validate ug gi-hashasan’g maayo ang blotter (We’ve validated and refined the blotter reports),” said Recla. She pointed out that casualties, injuries and damage to property in traffic accidents are also reported as homicide, physical injury and property loss cases. The PNP’s report tallied the murder, homicide, theft, carnapping, physical injuries and total index crime cases. Mandaue City does not appear in the top five in any of these crimes, if one looks only at the crime volume reported by the PNP. But once the computation includes population, Mandaue City in Cebu Province’s sixth district apparently is among the top five cities with high incidences of carnapping and physical injuries. There were 136 carnapping cases for every 100,000 people in Mandaue, the fourth highest among the 15 cities covered by the PNP report. Angeles topped the list (280 carnapping cases for every 100,000), followed by Naga City in Bicol (207), Cagayan de Oro (190) and Makati (127). When sought for reaction, the Mandaue City Police Office (MCPO) chief, Senior Supt. Jonathan Cabal, said he cannot comment on that period because he assumed office only last Jan. 14, 2016. Last February, Cabal told the Mandaue City Council that motorcycle thefts in the city were already alarming. He advised that more checkpoints be set up and that motorcycle shops selling parts be monitored. Mandaue City reported the fifth highest number of physical injuries cases, per capita, from 2010 to 2015. The top five in per capita terms are Baguio (3,019 cases for every 100,000), Naga City (2,752), Iloilo (1,358), General Santos (1,094) and Mandaue (986). Baguio also appears among the five cities with the highest number of physical injuries cases, based on crime volume, but is only in third place. Without considering their disparities in population, the PNP’s top five cities in terms of physical injuries cases in the past five years are: Quezon City (14,035 cases), Manila (11,458), Baguio (9,621), Davao (9,278) and Zamboanga (7,714). These two ways of measuring crime also yield different pictures. Based on crime volume alone, as reported by the PNP, the top five cities with the most number of index crimes are: Quezon City (65,514), Manila (53,026), Cebu City (38,797), Davao City (37,684) and Cagayan de Oro (31,365). Add each city’s population to the equation, and the result changes. The top five cities in terms of index crimes, per capita, are: Naga City in Bicol (10,801 crimes for every 100,000), Baguio (8,501), Cagayan de Oro (5,209), Iloilo (4,606) and Cebu City (4,479).